Scraps displaying some of his bling at 8-25-07 agility trial in Staten Island. 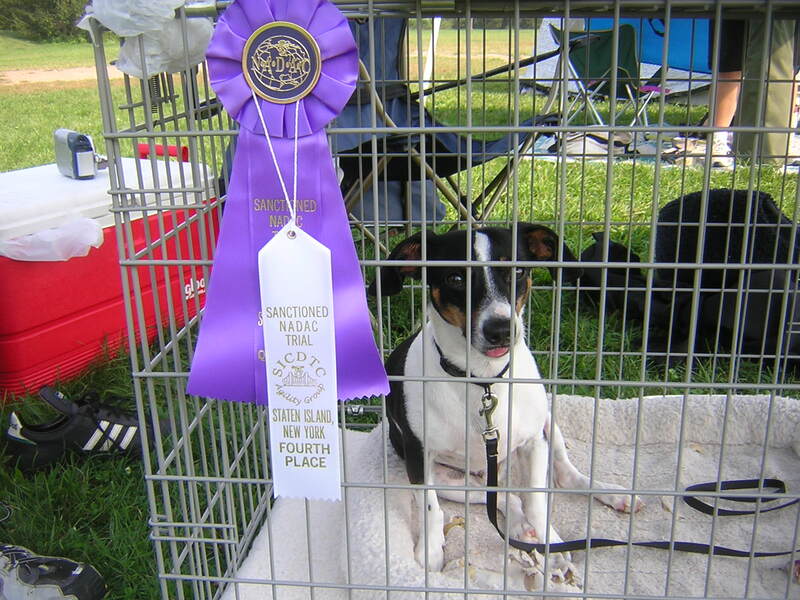 It was a one-day agility trial at the standard Staten Island Wolfe’s Park where we attended our first trial. This was a NADAC trialr un by SICDTC. We ran in 4 event. First half of the edited video from this trial.